Protection, comfort, safety and sensitivity. 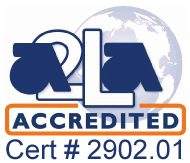 Aurelia knows the features that are important to you and are pleased to offer a wide range of high-quality products that fit your laboratory needs perfectly. 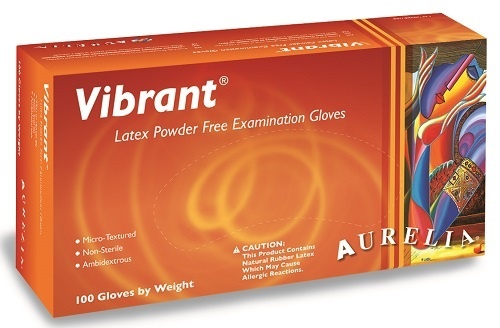 Aurelia Vibrant Chlorinated Micro-textured and Powder Free Latex Examination Gloves are made from 100% natural rubber, are ambidextrous, creamy beige/white in color, micro textured and non-sterile. Aurelia's advanced rinsing process improves quality and purity. Each batch of Aurelia Vibrant gloves is air-tested to detect pinholes. Aurelia Vibrant gloves conform to and are tested to the highest international standards. 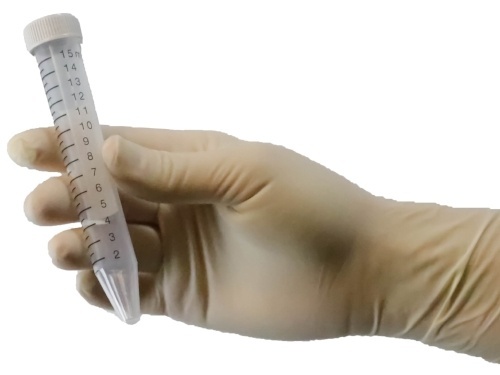 The Aurelia Vibrant latex, powder-free disposable glove is textured on the fingertips, fingers, and palms for improved grip, particularly in wet environments, compared to gloves with textured fingers alone. The Aurelia Vibrant glove has a palm thickness of 5 mm and a finger thickness of 6 mm, and is 9.4" long from the tip of the middle finger to the edge of the beaded wrist cuff, which is 2 mm thick. 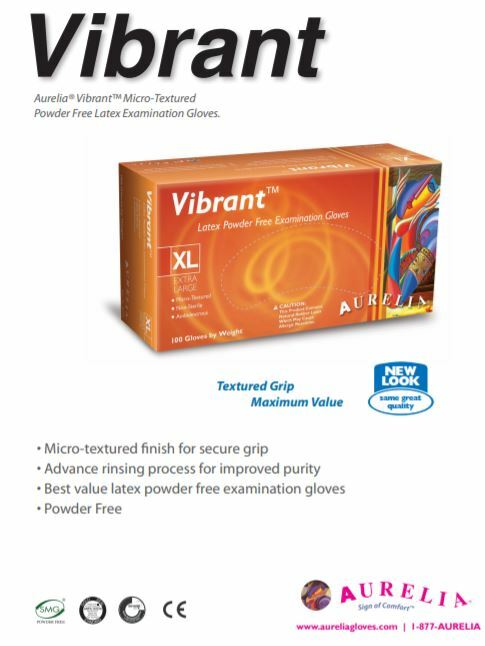 Latex used in Aurelia Vibrant gloves provides better elasticity than nitrile, chloroprene, or vinyl, and better puncture resistance than vinyl. This powder-free glove is less messy and reduce the risk of contamination because they don’t leave any residue on clothing or hands during or after they are used, reducing the risk of contamination compared to a powdered glove. 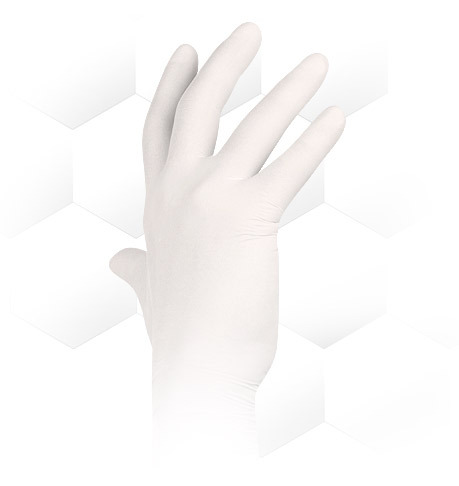 This ambidextrous white Aurelia Vibrant glove is suitable for dental and medical examination applications. Every lab should have a scheduled monthly check of their inventory to make sure they have gloves available in all the sizes their team needs. As well as latex gloves, hypoallergenic nitrile glove should also be available for employees that have sensitivities to Latex, as per OSHA 2011a.